Like anything else, shutters and blinds can become dirty or otherwise deteriorate in condition over time. Everyday hazards to your shutter’s cleanliness include dirty hands, dust, and even daily sunlight. What shutter care can be done to keep them looking brand new? 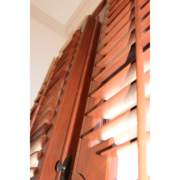 It’s important to consider the types of shutters and blinds you have in your home before setting about cleaning them. 1. Wood shutters or blinds. You should never clean wood shutters with harsh chemicals or excessive amounts of water, or you’ll risk warping or damaging the finish. Use a clean, dry cloth, a feather duster, or vacuum periodically with a soft brush accessory. Clean wood shutters regularly to prevent buildup. Vinyl blinds are a little less susceptible to water damage than wood shutters. You can remove them completely for deep cleaning. Wash in a large sink or bathtub with warm, soapy water or a mixture of ammonia and water. Wipe clean with a soft cloth and hang to dry. In between deep cleans, keep dust from building up with a soft cloth, feather duster, or vacuum. Or, spray a mixture of ammonia and water and wipe with a soft cloth or cotton glove. Wipe dry. Metal blinds are deep-cleanable like vinyl blinds. However, it is important your metal blinds be dried quickly and thoroughly to prevent rust or tarnish, depending on the metal. Between deep cleanings, use a clean, dry cloth, a feather duster, or a vacuum to remove dust and buildup. 4. Try to dust blinds weekly, or at least biweekly, to prevent buildup. 5. Use a ruler wrapped in a soft cloth to dust between narrow blinds. 6. Never use furniture polish, as it can form a gummy substance with dust that is difficult to remove the next time. 7. Instead, try a dryer sheet – rub it on the top and bottom of each slat to help repel dust. For more information about the upkeep and maintenance of your custom shutters and blinds, or for a quote for new shutters, reach out to Kirtz® Shutters. Shutters prevent sun damage. When you close them, it blocks the sun from coming in. Natural light may be beautiful, but over time it can also cause damage to the inside of your home. Most notably, sun damage can ruin wood floors and fine upholstery, such as curtains and couches. They also allow you to easily darken a room for resting or watching television. Shutters keep air in. Windows are an opening to the outside. Even if windows are well sealed, they still let in some amount of moisture and cold or heat from outdoors. They can add an additional barrier to reduce the impact of some of those elements they can help to keep the house more comfortable and help reduce energy bills. For owners of historic homes, keeping old, intact windows is sometimes necessary due to preservation codes. They can add insulation without changing the windows themselves. Shutters aid in weather and seasonal concerns and can help to protect your home against seasonal weather damage. There’s a reason why they on picturesque beach homes are battened during hurricanes. They protect the windows from damage, and therefore, protect people inside. In addition to added protection during hurricanes and tornadoes, they provide extra weather insulation whenever it is needed in extreme temperatures. If you are interested in upgrading your curb appeal, while increasing the efficiency of your home, Kirtz® Shutters can help. Check out our selection today! Strangers are coming in and out of your home. You see a worker with a jackhammer and have a slight panic attack because you don’t remember authorizing demolition with your improvements. Searching for the person in charge of your project only to realize they are M.I.A. Not knowing what each day entails. Feeling out of the loop on your own vision and ideas. Does any of this sound familiar to you? 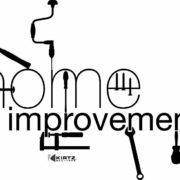 Any home improvement is a time consuming, expensive, and sometimes a stressful time in life. Whether it is out of necessity or choice, remodeling is tough! 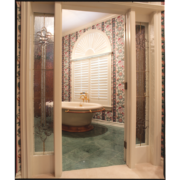 Custom window coverings can be one of the easiest steps in your project with our team of experts on your side. Step 1: Give us a call with a general idea of what you are looking for, how many windows we will be covering, and a color scheme. We can talk numbers and then get to the hands on part. Step 2: We schedule a walk through of your home at your convenience to take measurements and brainstorm on the best way to bring your vision to life. If you aren’t sure what style to go with, we have tons of real client photos to get perspective from, and our owners have even actually brought people into their home to view their shutters to spark our clients creativity. Do you need to color match what you already have? No problem! Have odd shaped windows? No sweat! 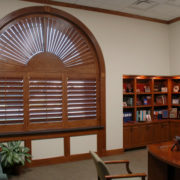 All of our shutters are custom made to fit the exact shape, size, and color needed. Step 3: Once you submit your order, we will send color samples so you can compare them at your home in different lighting and rooms so you can feel absolutely confident in your choice. Once all details are approved by you, we will give you an exact date of completion. Do you need your shutters in a hurry? We can always put a rush on the order with no compromise to quality. Step 4: If you live close by and would like to see exactly how your shutters will be made, we will always invite you to come view our facility. Each shutter is inspected after every station and believe me, they require perfection. 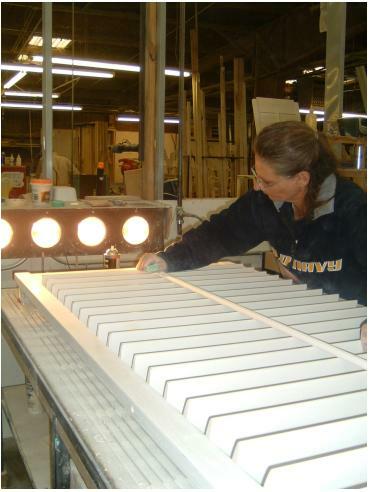 Step 5: Once your shutters are built, painted, and inspected, it’s time for installation. Once again, at your convenience we will schedule a date and time to professionally install your new window coverings! Notice how each and every step involves you? Because it is your vision, it’s your project. We are just on your team, to help make the process a little bit easier, a little less stressful and turn your vision into a completed project.